Additive color mixing is the kind of mixing you get if you overlap spotlights in a dark room, as illustrated at left. 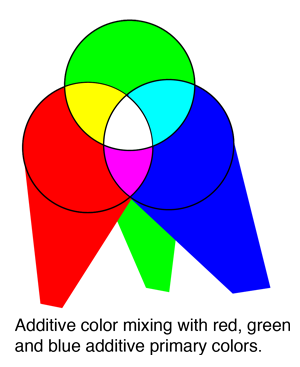 The commonly used additive primary colors are red, green and blue, and if you overlap all three in effectively equal mixture, you get white light as shown at the center. 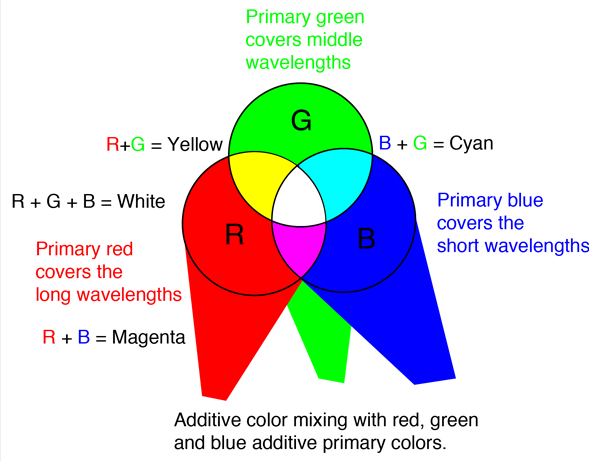 Additive color mixing is conceptually simpler than the subtractive color mixing you get with paints and pigments since you are just adding light energy in different ranges of the visible spectrum.